Range of occurrence and abundance is a fundamental information that describes an animal population and is particularly important for species of conservation concern such as sea turtles. Although sea turtles lay clutches on land, which helps identifying breeding aggregations, the current knowledge on the distribution of these animals is far from being complete. Traditional ground surveys and more recent aerial surveys bear limitations due to logistic constraints, cost and safety concerns. We tested a novel approach based on high-resolution satellite imagery on a 12-km tract along the Atlantic coast of Florida (USA) by comparing counts from a satellite image with counts from traditional ground surveys. Daily track counts were underestimated in zones with higher human presence, probably due to tracks deleted or confounded by human activity, and overestimated in zones with lower human presence, probably due to persistence of old tracks. 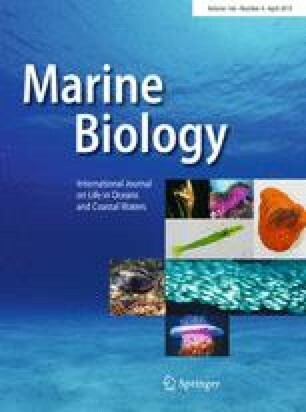 Results show that satellite surveys can provide the order of magnitude of nesting level in relatively undeveloped or low-frequented coastal tracts, which represent the main objective of any preliminary survey on sea turtle occurrence. Satellite imagery represents a new complementary tool available to conservationists for filling gaps about sea turtle occurrence, especially in remote or unsafe areas. The online version of this article ( https://doi.org/10.1007/s00227-019-3494-4) contains supplementary material, which is available to authorized users. The ground survey data were collected by the University of Central Florida Marine Turtle Research Group as part of the Florida Index Nesting Beach Survey program coordinated by the Fish and Wildlife Research Institute of the Florida Fish and Wildlife Conservation Commission. The study was partially founded by the Marine Vertebrate Research Institute (Roma, Italy). We thank D. Santerini (Univ. Pisa) for image processing and two anonymous reviewers for their comments. No organisms were used in the study.